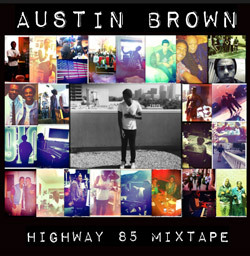 Austin Brown is a musician, singer, and songwriter based in Los Angeles, California. 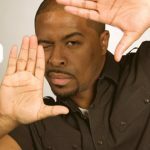 His original Highway 85 mixtape was released on December 24, 2012, and the project has received high praise from fans and media alike. Among Austin’s major influences are ground-breaking music legends Prince, George Michael and Michael Jackson. Austin credits his father Nathaniel as the driving force behind his early musical education, and while Nathaniel admits to paying for piano lessons, he says music was always on Austin’s mind. One important lesson Austin has learned from his family’s hard-earned experience is the value of having more money than others at an early age. Although he’s enjoyed singing and dancing all his life, and began taking piano lessons when he was four, it wasn’t until seventh grade that Austin first began to think seriously of a career in music. From a young age he has focused on developing his skills as a performer and writer, including ghost-writing for several artists. Austin’s sound is a great hybrid of old and new. The style he has achieved is a combination of the soul and harmony of late 70s R&B, with the rhythms of modern electronic pop, very influenced by French bands like Daft Punk.